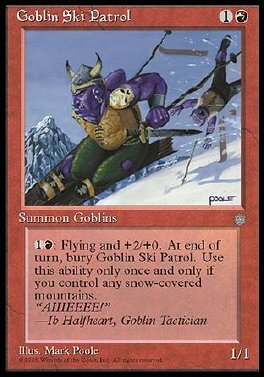 1R: Goblin Ski Patrol gets +2/+0 and gains flying until end of turn. Destroy it at end of turn. It can't be regenerated. Play this ability only once and only if you control a snow Mountain.